Arranging your ideal internship position and all necessary visa documents will take up to 8 weeks. You can have a look at how it works to gain an overview of the processes involved. Should you be in a hurry to start your internship, AIPx might be a suitable option for you. Via AIPx, we will have an interview confirmed for you within 11 working days only. AIP is able to arrange your ideal internship position independently from your university degree or prior working experience. Good command in both, written and spoken English. Open-mindedness and motivation to pursue an international career. Please note, AIP can only service students seeking an internship experience between 18 to 29 years old. The deposit for all our packages is 500 USD. Yes. AIP guarantees to arrange your ideal internship position in Asia for you. As such, we will refund your deposit completely should we fail to arrange your internship according to your requirements. It will also be refunded should we fail to arrange your internship in the appropriate timeline. It will also be refunded should we fail to arrange your internship in the appropriate timeline as agreed upon during your initial interview process. How much are the program fees and what kind of packages do you provide? We offer Placement, Standard and Signature packages. The fees depend on the package, the duration of the internship and the destination. All the information about our packages can be found under the Packages & Fees tab. Which package is the most suitable for me? This mostly depends on your character and personal preference. The placement package is most suitable for rather independent candidates who have already been in their destination of choice. The standard package on the other hand is our carefree package which also provides you with accommodation and various other services besides the internship placement, as airport transfer, trips, language courses, networking events and more. If you want to fully immerse into culture and country, the signature package will be most suitable for you since it also includes weekend trips across the country and cultural events such as cooking classes. Generally, we recommend our candidates the standard package as it provides a comprehensive amount of services at a very competitive price. This will allow you to focus on your internship while enjoying a safe and carefree experience. Please note that some packages are only available in specific destinations. When do I have to pay the remaining program fee? Your final payment is due once your internship position is confirmed. Candidates can benefit from AIP’s buddy program. By mentioning your friend’s name in the application form and enrolling in the program together, you will be entitled to a 10% discount on your package fee where your friend will also receive a 5% discount on his/her package fee. Moreover, we have agreements with many leading universities in place that subsidize our program or we provide discounts for. To find out whether your institution is also partnering with us, feel free send an email to your international studies or career center and a representative should assist you accordingly. Lastly, many students are eligible for scholarships or student aids. Please have a look at our Funding page and this article to evaluate your options. I am actually looking for a full-time position. Can AIP help me with that as well? Unfortunately, we do not provide full-time placements. However, our thorough matching services between companies and candidates proved to lead to great results in the past. As such, more than 70% of our interns received an offer to stay with the company after completion of their internship or received other job opportunities in the country during/after their internships. While we can’t guarantee a full-time job in advance, our internships will definitely provide you with a strong foundation to convince potential employers and kick-start your international career in Asia. This will mostly depend on your previous experience, the position you are looking for and the destination. In many Asian countries, it is not so common to get a paid internship due to the labor regulations..
As such, we will NOT be able to guarantee you a paid internship. However, you can be assured that we will try our best to negotiate with the companies on your behalf to ensure that you will receive the best benefits possible. In which fields do you provide internships? AIP is proud to be collaborating with over 450 partner companies representing all major industries. As such, we are very flexible in arranging your ideal internship according to your requirements and career goals. In which fields do you provide internships? Can I see a list of companies that I can be interning at? Unfortunately we will not be able to provide you with the list of our partner companies. The main reason is that it will provide you with false expectations of where you will be interning. The final decision is dependent on our partners whether to offer an internship in their companies. Although we can influence them to certain extent, there are too many factors that are out of our control. Nonetheless, we still hold true to our promise of securing a meaningful internship according to your expectations. What happens if I am rejected after an interview or I am not happy with the position? AIP guarantees to arrange your ideal internship position for you, so no need to worry. We will provide you with interviews until you are accepted and the position offered suits your preferences given that you have tried your best and agrees to fully cooperate with your AIP representative. For further clarification, please have a look at section 3. (c) of our Terms & Conditions. The visa process varies for each destination and will also be different depending on factors such as your nationality, age, and status of education. However, no matter which package you choose, AIP will assist you in applying for the correct visa and provide you with all the necessary documents to ensure a seamless application process. Should you have concerns regarding the visa processes for your destination of choice, please feel free to state them during your interview and your interviewer will provide you with initial advice. Besides that, AIP will also confirm your eligibility for the visa in your preferred destination when accepting you into the program. Will I have a supervisor at my company? Yes, all of our partner companies provide a designated supervisor to make sure you gain the best possible learning experience. My university requires certain documents to acknowledge the internship. Can AIP help me with that? Sure, we are familiar with the regulations of universities and our partner companies are also aware of potential processes involved. 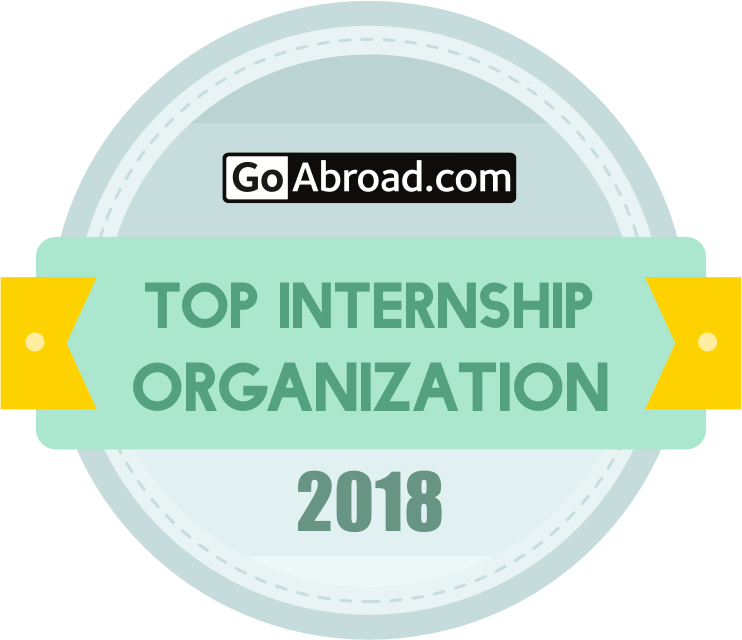 As such, we will work closely together with you and your university to make sure that your internship will satisfy both of your requirements. How does the accommodation look like? You will live in a private apartment of around 25/30 square meters which is fully furnished. Moreover, it will be located close to public transportation with a short travel distance to your working place whereby we will also cover water and electricity bills for you. Further facilities will depend on the destination and location of your host company, for example some accommodation will also be equipped with a pool and/or a gym. Will I get to know other interns from the program? Yes, we will make sure that you are connected with our other interns in your internship destination as well. AIP interns come from all over the world (over 60 nationalities and counting! ), so this will be a great opportunity for you to make international friends and build a global network of people from various background. Are there any events organized by AIP? Yes, depending on the period and the destination of your internship, we also have occasional dinners and networking events that you will be invited to join. These events are both social and/or educational. What happens if I have a problem with the host company or a hard time adjusting to the new environment? Whichever package you choose, we always offer the 24/7 emergency line. This means that you can call night and day to our office and we will assist you. We collect information from you when you fill out our application form, subscribe to our newsletter or at any time during the application process. We use your information to better service your request and to establish overall suitability to our program. Emails are sent periodically regarding your application and our service offerings. Your information is protected, and we do not provide it to third parties without your express written consent. If you are located in the European Union, Iceland, Liechtenstein or Norway (the “European Economic Area”), please click here for additional information about ways that AIP may collect, use, and share information about you.